The Munnar Queen is a place welcoming guests with eccentric views and top services for a comfortable and memorable stay. The rooms have modern designs and life-size windows along with glass-doors for the balcony. The combination of fancy lamps and the cosy decor looks flawless with the classic furniture used in the rooms. There is a mini-fridge and a hairdryer that can be used by the guests whenever the need arises. The property has an exquisite in-house restaurant, a conference hall and a separate dining area adorned by beautiful paintings and show-pieces. 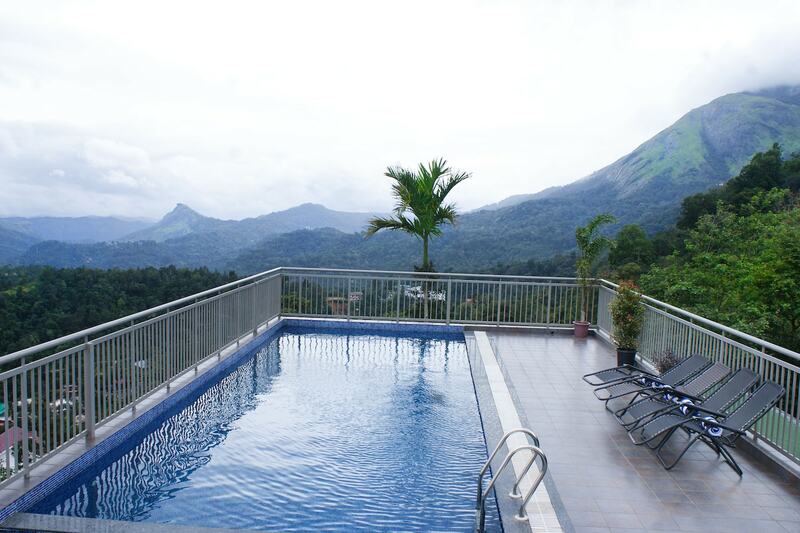 The place also has a swimming pool along with a common balcony where one can enjoy a swim and relish the scenic beauty. Other services offered by The Munnar Queen include parking area, laundry, card payments, power back-up and CCTV cameras are installed for added safety.